I tried to dress formally in the beginning stages of my career. I would front up to school in a shirt and tie and black leather shoes, but I just couldn’t keep it up. It felt awkward and uncomfortable and it was starting to effect my teaching. Yes, I often teach in a pair of black casual pants, polo shirt and runners, but I feel comfortable doing so. I am not one of those teachers who sits at his desk all day and only tends to students who are prepared to trek to the teacher’s desk. I am constantly on my feet and shifting from desk to desk. Those black leather shoes were causing me to sit down too often because of the strain on my feet, and the tie simply got in the kids’ faces when I bent over to read their work. When I made the change I felt less presentable, but rejuvenated all the same. Teachers at a secondary school have been criticised in an Ofsted report for dressing too scruffily, the first in Britain to be reprimanded in a drive to raise dress standards in the classroom. Some teachers at Acland Burghley School in Camden, North London were singled out for wearing clothes that were “too casual” and risked undermining standards, the inspectors said. After a visit to the comprehensive, which specialises in the arts, they warned that the teachers’ failure to dress smartly could have a negative effect upon pupils’ work. The school, which does not require pupils to wear a uniform, has been classed as “requiring improvement” and been under extra scrutiny since a full inspection in September. In a letter to head teacher Jo Armitage, inspector Mark Phillips wrote that he was particularly disappointed by the failure of many staff to dress smartly in order to inspire pupils. Mr Phillips, whose letter appeared after a follow-up monitoring visit, said: “Students are not required to wear school uniform. Some staff take your lead and dress in a business-like fashion. Ofsted’s first move to improve dress standards was launched last month. 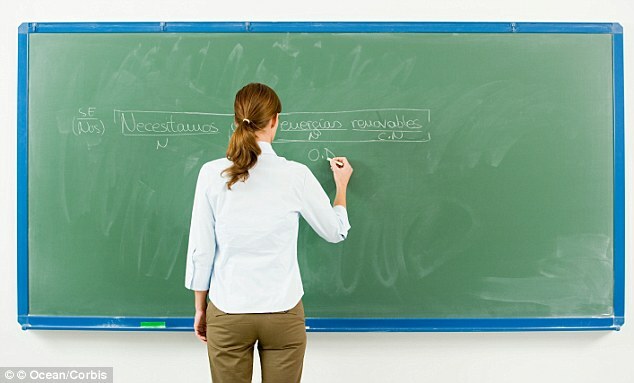 It plans to overhaul inspections of teacher training to include focussing on teachers’ clothes, conduct in the classroom and ability to control badly behaved pupils. Ofsted said it wants “professional dress and conduct” in the classroom. The report on Acland Burghley School also criticised the way that students answer back and use bad language. Ms Armitage has already announced she is standing down in August and governors are currently recruiting for a new head teacher. Click on the link to read How Should Teachers Dress? 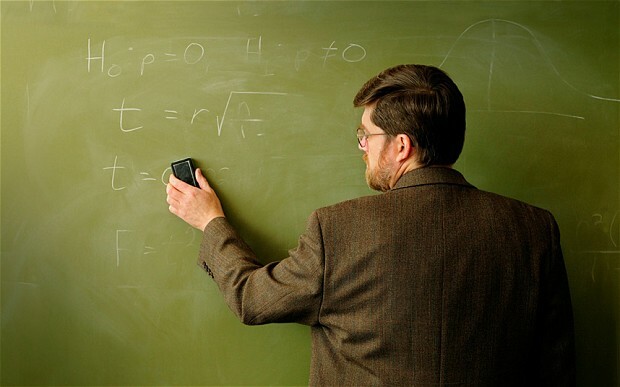 Click on the link to read Teachers in Uniform? It used to be the students that needed a dress code, but now a school district in Arkansas has drafted a formal set of guidelines for it’s teachers. Listed in the four page document is the new requirement that staff must wear underwear. Little Rock School District’s new superintendent Dr Dexter Suggs refers to underwear as ‘foundation garments’ in the document. The guidelines don’t stop there. Some of the other rules include the banishment of spandex leggings and hip-hugging jeans. Teachers are required to find the happy medium between ‘excessively tight’ pants and those that are ‘sagging’. Some of the rules seem perfectly reasonable in a school setting – like the banning of clothing which advertises alcohol, drugs or cigarettes. But others seem over-the-top and obvious. In addition to underwear requirement, teachers’ hair ‘must be clean, neat and well-groomed’ and shoes ‘must be worn at all times’. In the letter dressed to the school district’s teachers, Dr Suggs doesn’t cite any particular incident that lead him to believe an official dress code needed to be made. He only wrote that ‘the district’ believes an ‘appropriately dressed employee is seen as a more suitable role model’. Ms Koehler admits that many union members voiced their distaste for the new regulations. Who in their right mind would stop students from paying tribute to a the memory of a treasured friend and classmate? Friends of a 14-year-old boy who died after a long battle with cancer are being sent home from school for refusing to remove wristbands worn in his memory. Tribute wristbands in memory of Jordan were sold at his school, the Nuneaton Academy, following his death, with all proceeds donated to the Teenage Cancer Trust charity. Friends of the teenager bought the bands and have worn them ever since, but now the school has banned pupils from wearing them, saying they are not part of the uniform, his mother Joanne Meuse said. 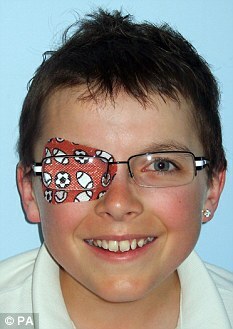 One pupil, a close friend of Jordan’s, has even been sent home for refusing to remove the wristband. Click on the link to read Eight-Year Old’s Gift To Teacher is a Gun! It’s more important than standardized testing results, record of behavior management or leadership skills. The most important thing a school can offer to its students is a caring environment. Schools which support and fight for the well being of its students are the ones which ultimately nurture the happiest children. A teenage girl who has to wear special shoes due to a foot condition, has been told by her school she will be taught in isolation if she doesn’t wear the ‘correct’ shoes. Keeley Skov has to wear achilles tendon supports and orthotic insoles as she suffers from achilles tendonitis which causes her chronic pain. The supports don’t fit into standard school shoes, and so Keeley wears a pair of black and white trainers to school. But Wilnecote High School in Tamworth, Staffs, have told the 13-year-old she must wear regulation black school shoes – despite Keeley having a medical note to explain the situation. The school will not accept the letter and have said they will keep Keeley in isolation until she wears a pair of plain black shoes. Mum Carrie Skov said: ‘Keeley is a shy girl, she works hard at school and she was devastated. She was in floods of tears. Let the girl wear her shoes for goodness sake! I am all for enforcing rules and protecting students from violent gangs, but suspending 100 kids on the first day of school is a recipe for disaster. The principal at Canton High School doesn’t know what caused the disconnect that led to students violating the uniform policy on the first day of school Wednesday. Shirley Sanders said every year students and parents receive an information packet that includes the dress code policy. The packet is given out on registration days. Some 100 students received in-school suspension for wearing neon-colored shoes, neon shoe strings and other “gang related” colors, Sanders said. Students were allowed to call their parents to bring them proper attire. Canton High School has a dress code – in place for several years now – requiring students to wear navy shirts, khaki pants or skirts, and black or dark-colored shoes or white tennis shoes. 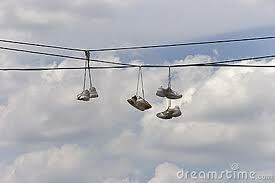 For the first offense, parents are notified and can bring an acceptable pair of shoes to school, and the student receives an in-school suspension for the day. The second offense brings two days of in-school suspension. The third offense requires a parent conference with the principal, and the fourth offense brings a three-day out-of-school suspension. 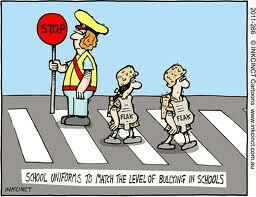 I am a supporter of school uniform but not because of this crazy theory that a uniform will markedly reduce bullying. Tackling bullying can only be successful if you tackle the cause, not the superficial aspects such as this. Any child prepared to bully another over what they wear will more than gladly move on to other areas of bullying such as weight, appearance etc. Some Abbotsford parents are hoping school uniforms will eliminate the battle of brand-name clothing and the bullying that goes along with it. Eugene Reimer Middle School and Dave Kandal Elementary School are introducing school “dress codes” in September – they’ll be the seventh and eighth to implement uniforms out of 48 schools in the Abbotsford School District. “Some families can’t afford to buy expensive stuff, like when kids are coming to school wearing Nike out-fits and expensive brands and other kids feel left out and other kids feel teased, so it’s good – now kids will feel equal,” Manpreet Badwal, whose seven-and eight-year-old daughters attend Dave Kandal, said Wednesday. “There’s a lot of bullying going on in schools, so this will maybe help. A teacher of a co-ed government school in Gaighata in North 24-Parganas took off the leggings of a 13-year-old girl in the classroom on Wednesday because she was not in proper uniform. The girl wept and pleaded but the teacher allegedly did not return it even after school was over, forcing her to walk home in a semi-clad state. Headmaster Swapan Bala dismissed it as a “minor incident”. “We came to know of it only a day later. It is not a serious matter. Some people are unnecessarily making an issue out of it. The teacher has apologized. We shall take a final decision on Friday,” Bala said on Thursday. There is nothing new in students of Zilla Parishad schools wearing uniforms but in Buldhana district of central Maharashtra, teachers wear them too. The concept was introduced by S J Koche, Buldhana Zilla parishad Chief Executive Officer, soon after he returned from a training programme for IAS officers, in South Korea last year. “We were in South Korea for 15 days and in the schools we visited, I saw that even teachers wore uniforms,” said Koche. “The sight was very impressive and I made it a point to implement the same back home,” he said. “If students can come in uniform, why not teachers, because students imbibe discipline from teachers,” he said. His novel scheme met with stiff opposition initially, Koche said. However, later on, everything fell in place. Now, besides 2.30 lakh students, around 8,000 teachers in 1840 zilla parishad schools in the district, wear uniforms. “The idea has been lapped up by families of teachers, Koche said. The villagers have also appreciated the concept, Koche said. “They say they now know who the teacher is.” The colours for teachers are white shirt and black pant while for students it is blue pant and white shirt, he said. I personally am against this idea. I have already worn a uniform throughout my own school days, and would not like to revisit the days of itchy woolen jumpers and terrible looking grey trousers. I truly sympathise with the students for what they have to wear. It would be uncomfortable to have to comply to a uniform of my own. 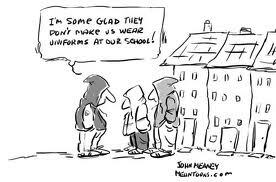 I also feel that teachers will not be taken as seriously when forced to wear a uniform. Rather than see it as a case of setting an example, I fear that students will see it as a bit of a joke. I am all for dressing in a professional manner. But a uniform? I think I’ll pass.